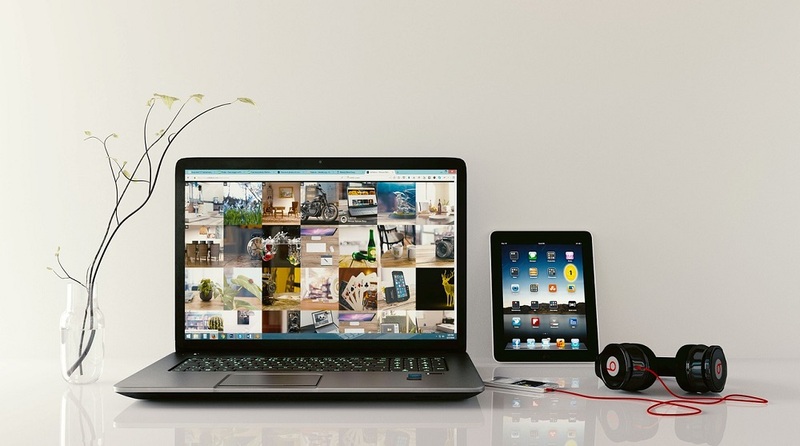 Even with its stability downsides, Wi-Fi is certainly the most common way to browse the internet without being physically connected to the router. Thus the laptop is a valuable asset in comparison to desktop PC. However, while enabling you to move around freely, wireless is more prone to connectivity issues. And more than a few users reported that they’re unable to connect to a Wi-Fi network with their laptops. To eliminate the overall connection issues, they stated that every other device can connect (handheld devices mostly), with the laptop being an only exception. For that purpose, we prepared a detailed list of various solutions and workarounds that should help you address this problem. Make sure to check them out below. Wi-Fi works on other devices but not on a laptop? Let’s start with the elementary troubleshooting steps. Restarting your router, modem, and the laptop itself should always be a priority. The IP conflict isn’t uncommon, especially if you use more than a few devices for accessing the internet via a single router. Two of them get the same IP assigned and then the issues start. 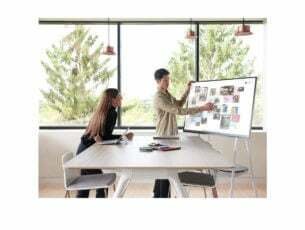 In addition, there’s always the possibility of a stall within the system, so restarting laptop is highly recommended, as well. Restarting your equipment will clear up the possible stall. Firstly, try using the LAN, wired connection. If the problem concerns only Wi-Fi connection, restart your modem and router. Power them off and wait for some time before turning them on again. Also, it might sound silly, but don’t forget about the physical switch or the function button (FN the on keyboard). If you disabled Wi-Fi by accident, make sure to re-enable it accordingly. 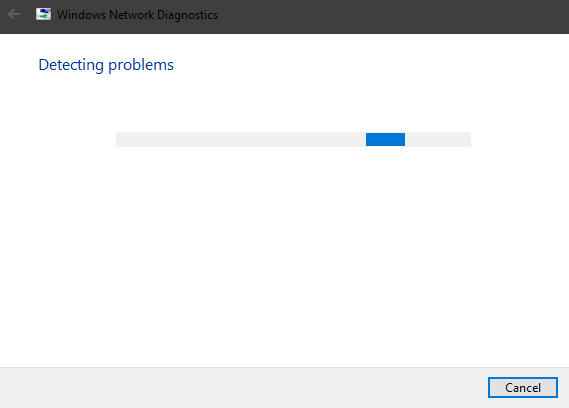 Windows Troubleshooter is commonly overlooked when issues emerge. Now, one might say that the resolution rates aren’t exactly sky high, but there’s also the identifying of the error which might come in handy with the later steps. Sometimes it’s the IP conflict, sometimes it’s the Wi-Fi radio (pointing towards drivers or physical switch), SSID (network issue) or maybe the ISP (Internet Service Provider) is having problems. Of course, in the scenario when even calculator can connect to the internet via Wi-Fi and laptop can’t, the possible culprits are fairly limited. 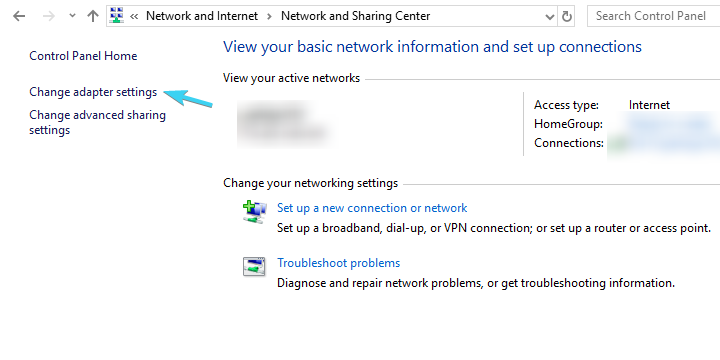 Right-click on the Wi-Fi icon in the bottom and click Troubleshoot problems. Follow the instructions until the troubleshooter resolves the problem or at least diagnose it. In case you’re still unable to connect, move down through the list. If IP is conflicting with one of the other connected devices, you can always restart it (when you restart the router, it reassigns IP) and move from there. However, the special focus is on the DNS cache that collects your domain data and can affect negatively the connection. DNS is there to translate the hostname to IP and IP to hostname. 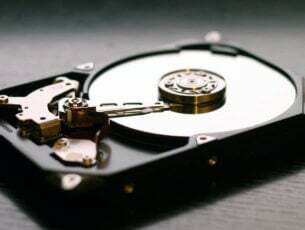 All collected translations are stored in DNS cache and the piling up can break the connection occasionally. 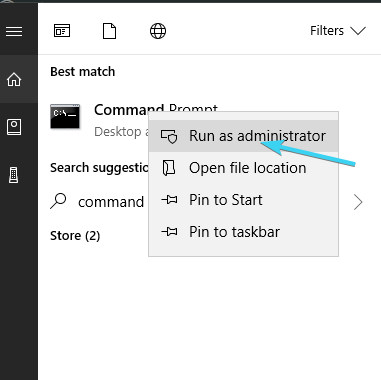 In the Windows Search bar, type cmd, right-click Command prompt and run it as an administrator. 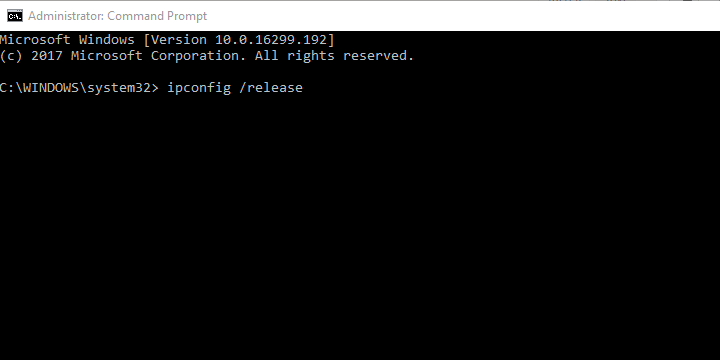 Close Command Prompt and try connecting to Wi-Fi again. With this, we’re mildly stranding in the strange area. For some reason, users weren’t able to connect to networks with unusual names, meaning that you might reconsider renaming them to something less bloated. So, make sure to use only standard alphanumerical symbols, without emoticons and Unicode characters in the SSID name and try again. Even though other devices locate it clearly, with the laptop as an only exception, give it a try. Furthermore, sometimes the hidden SSID that needs to be manually inserted while connecting can also be an issue. Make it visible temporarily and try again. That resolved the issue for some users and they were able to connect without difficulties. The story of two bands is rather simple. The 5 GHz band is much better in almost every regard. It’s faster, it’s less crowded since most other non-Wi-Fi devices use 2.4 GHz, it’s more stable. However, there are two things that are better with 2.4 GHz. Firstly, its signal goes further and easier brakes trough walls. Second, it supports older devices with older wireless standards. So, if all devices in your household (handheld and smart devices or PCs) are connected on 5 GHz and working well, make sure to try to connect to 2.4 GHz band with your laptop. Press Windows + S, type Control, and open Control Panel. 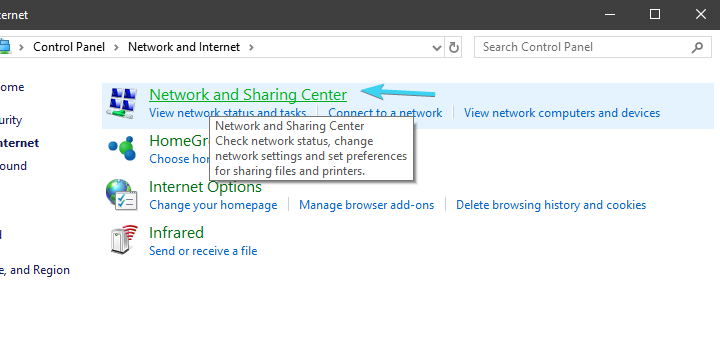 From the Category view, open Network and Internet. 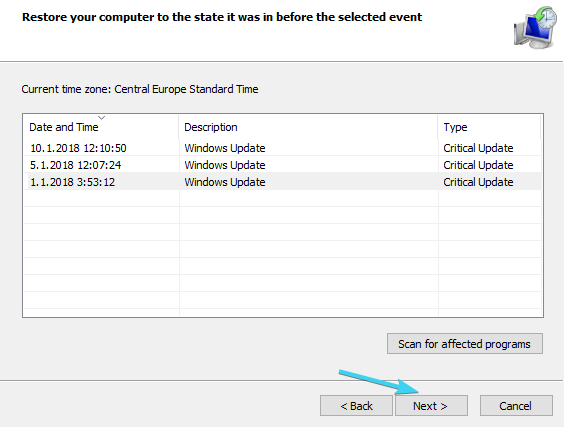 Select ”Change adapter settings” from the left pane. 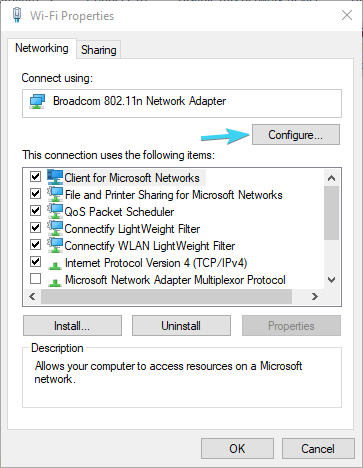 Right-click on your Wireless adapter (connection) and open Properties. Click on the ”Configure” button. In the left pane, scroll to WZC IBSS Number Channel. From the right drop-down menu, choose channels 1, 6, or 11. There are multiple power-related options that will affect how Wi-Fi works. Some of them will stall it in order to reduce the power consumption, others will completely block Wi-Fi. 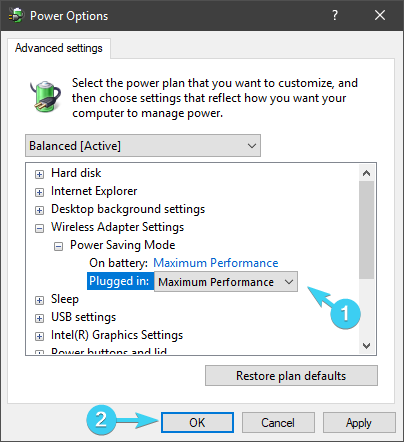 Power Settings are especially important on laptops since they’re mobile devices dependable on batteries in various scenarios. Right-click on the Battery icon in the notification area, and open Power Options. 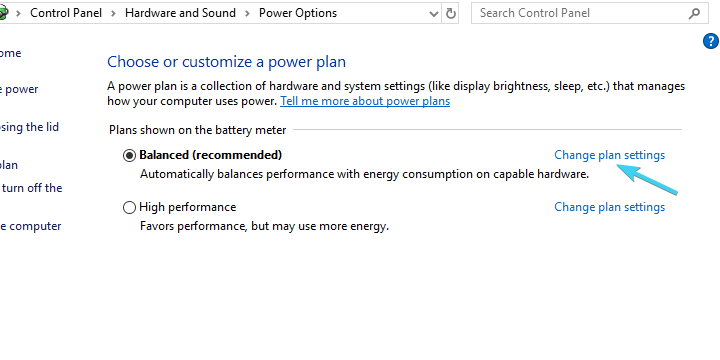 By the preferred power plan (Balanced, in my case), click on Change plan settings. 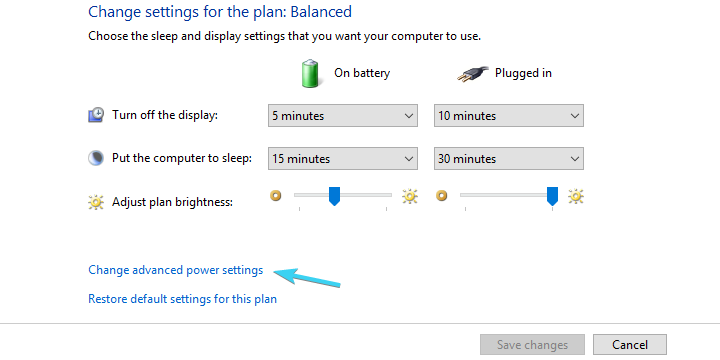 Set ”Power Saving Mode” both on battery and while plugged into a wall socket to ”Maximum Performance”. Confirm changes and close the window. On the other hand, if the problem isn’t residing in Power Settings, just move onto the next step. We can’t try to address network-related issues and skip on drivers in the process. 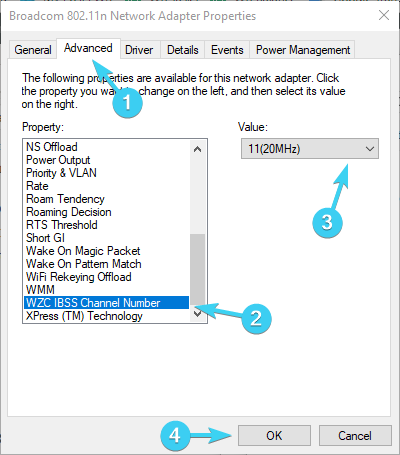 There are various ways to get proper drivers for network adapters. In Windows 10, drivers have been mostly installed automatically through Windows Update. However, these generically applied drivers aren’t always the best for the job. Right-click on the Wi-Fi device and click ”Uninstall device”. 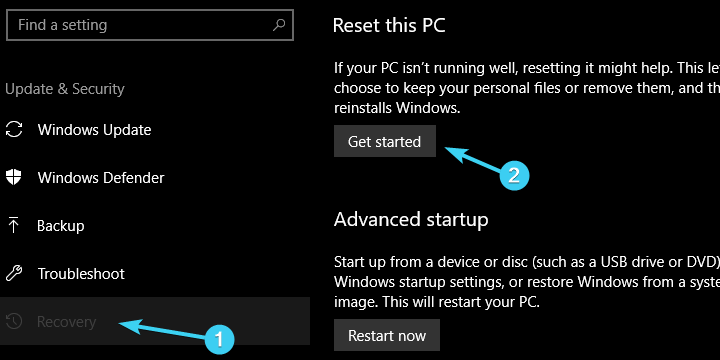 Right-click on the Start and open Device Manager from the Power User menu. 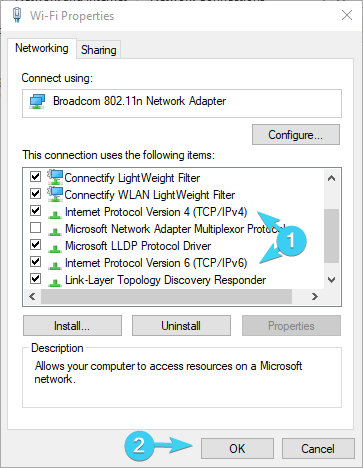 Right-click on the Wi-Fi Network adapter and click Update driver. This should resolve driver-related issues. However, we all know how drivers are important for stable and reliable system performance. And tending to drivers isn’t always the easiest task. In order to spare you some time and effort, we recommend TweakBit Driver Updater. It’ll provide you with the fresh and trusted drivers within seconds. Third-party antivirus solutions are arguably a must in the current fear state caused by perilous malware threats. Nonetheless, even though the protective software improved over time with detection and multi-threat protection features, sometimes might act a ted more overzealous for its own good. Which means that certain firewall-based security feature and/or network protection, can block your Wi-Fi connection. That leads us to believe that temporary disabling antivirus might resolve your issue. You can also try to create an exception or make your network trusted later on if the problem is resolved. 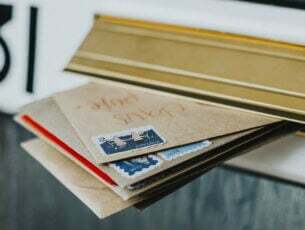 The internet protocol IPv4 and it’s successor IPv6 mostly function in symbiosis, but, taking into consideration your configuration and network adapter, former or latter, can prevent connection. What you can try is to disable either IPv4 or IPv6 (not both protocols at the same time, obviously) and look for changes. 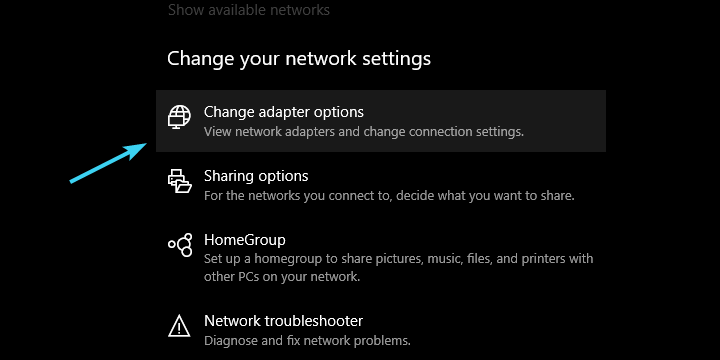 Under the Status section, select ”Change adapter options”. 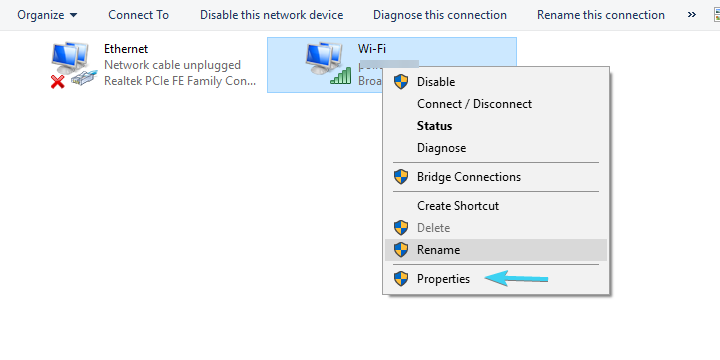 Right-click on your Wi-Fi adapter and open Properties. Disable IPv4, confirm changes, and try connecting via Wi-Fi. If the problem is persistent, re-enable IPv4 and disable IPv6. Click OK and look for changes. 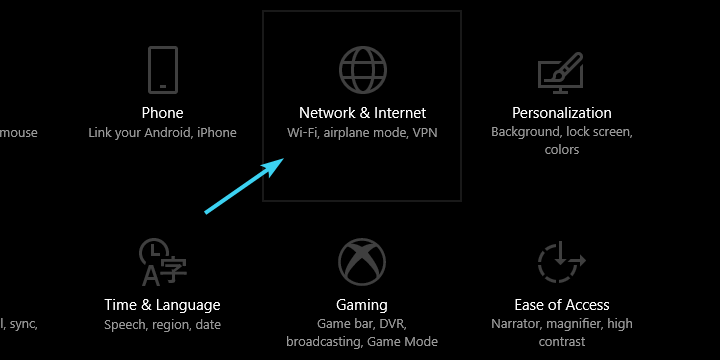 Finally, if none of the previous steps succeeded to address the inability to connect to Wi-Fi on your laptop, there’s one final step that crosses my mind. System Restore was always a good get-out-of-jail card when something goes wrong. 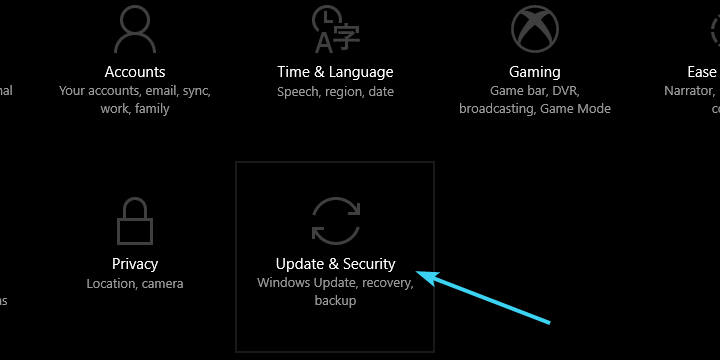 However, besides the System Restore, Windows 10 offers a more advanced recovery option that could come in handy. 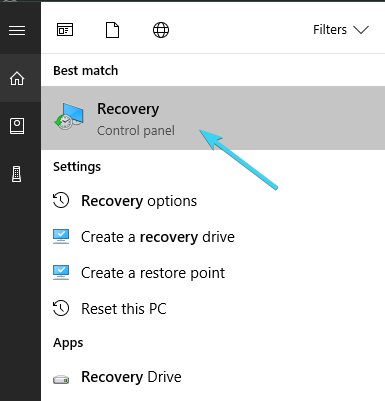 Type Recovery in the Windows Search bar and open Recovery. 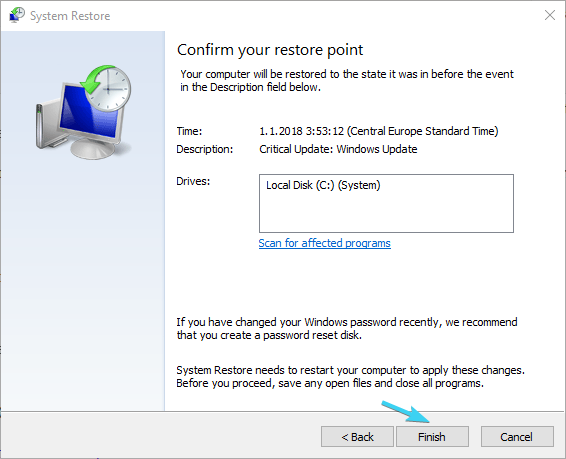 Click on ”Open System Restore”. Click ”Next” in the dialog box. Select the preferred restore point (the one where Wi-Fi worked without issues). Click Next and then ”Finish” for the restoring process to commence. The procedure can take some time, so be patient. 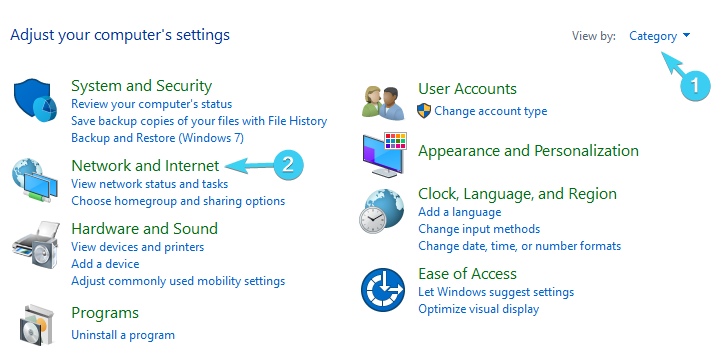 Choose to preserve your data and restore your PC to default settings. Here is a helpful video to guide you through some of the solutions for this issue. Make sure to check it out and fix the Wi-Fi connection on your laptop, if that connection works for other devices. That’s it. We hope you’ve managed to resolve your issues with one of the advised solutions. Of course, these are all mainly software-related workarounds, and they won’t be of much use if your hardware is faulty. Please feel free to share your experience with the problem or add alternative solutions. The comments section is just below. Editor’s Note: This post was originally published in January 2018 and has been updated to include a helpful video tutorial for the issue described.